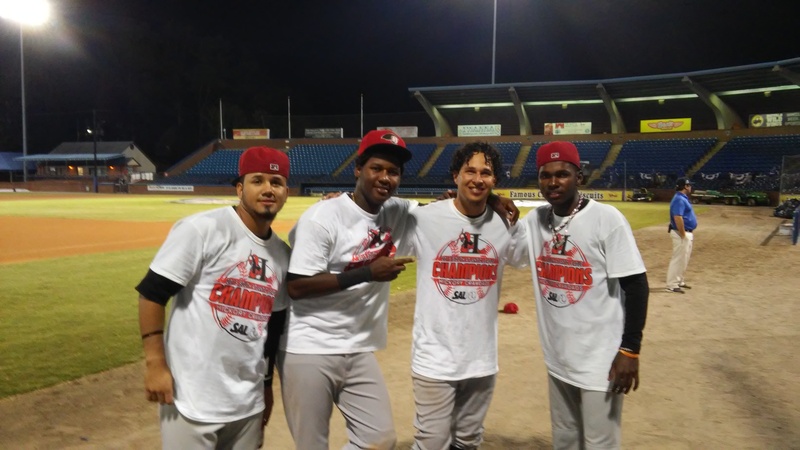 Jairo Beras did indeed do big things throughout the playoffs and his game-saving throw in the seventh inning during the decisive game three of the SAL Championship Series was a key play for the Hickory Crawdads in closing out a three-game sweep of the Asheville Tourists. 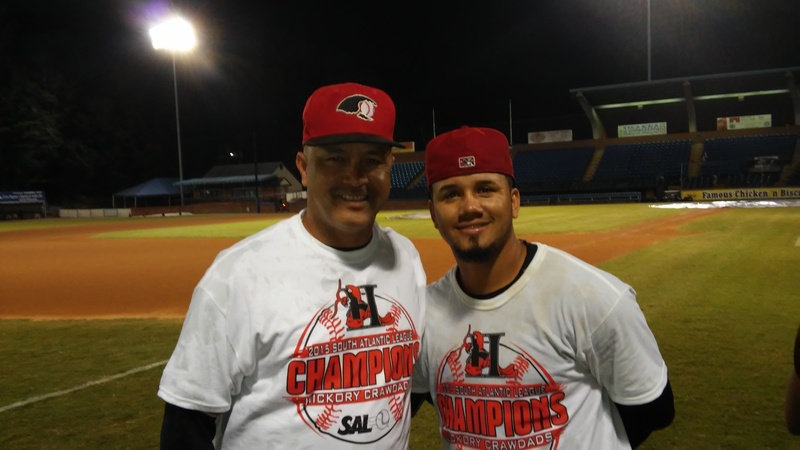 Championship-caliber play didn’t seem likely on the second game of the season when the native of San Pedro de Macoris, D.R. continued a behavioral pattern that happened occasionally in 2014 – lack of hustle on pop-ups or groundballs. After getting sent to baseball purgatory for a month – extended spring training in Arizona – a hamstring injury upon his return cost him two more weeks. Another “lack of hustle” incident occurred in a game on June 29, this time in front of Texas Rangers senior director of player development Mike Daly. Beras was benched for a game. During an interview I did with Daly after the June 29 game, I asked him about the continued disinterest that Beras seemed to have in his own abilities. 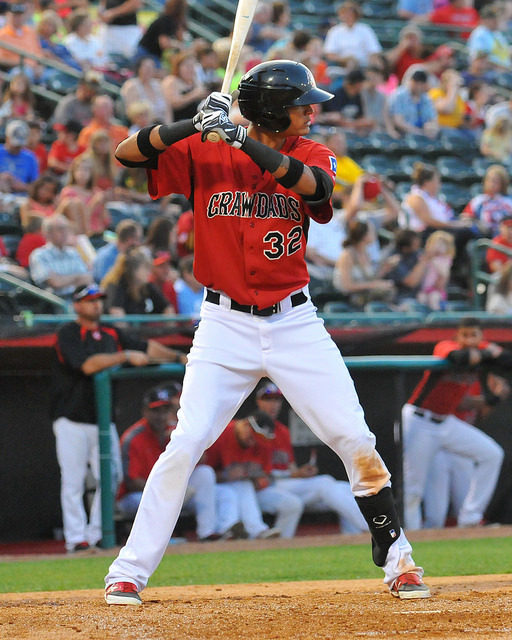 Beras did indeed make those changes in putting up a 21-game hitting streak in the second half, which included a hustle single that broke up a fledgling prefect-game bid on July 20. He carried his strong second half into the playoffs with a two-hit game – including a homer – in game one at West Virginia. In the final game of that series, he threw out Power runner Kevin Newman in the first inning of what turned out to be 1-0 win for Hickory. 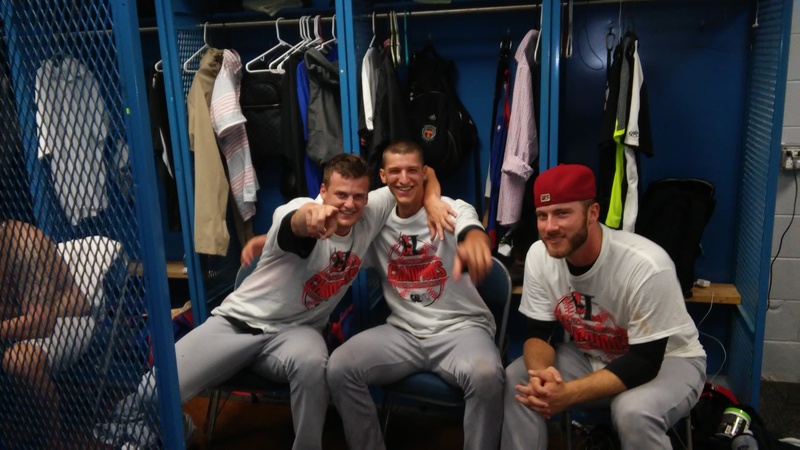 In the championship series, he reached base four times over the first two games and knocked in three runs, but it is his throw in the final game that had the Crawdads players, coaches and players in awe. The right field wall at Asheville’s McCormick Field is measured at 297 feet from home plate to the foul pole, 320 in the gap – the approximate distance of a football field. The play developed with Nunez at first and two outs. Tourists hitter Roberto Ramos hit a low line drive to Beras in right for single. Trying to come up the ball, it skipped past Beras and rolled to the wall. Beras sprinted back to recover from the mistake, gathered the ball, and from the wall, fired an on-target throw that hit catcher Jose Trevino chest high and easily beat the runner by several steps. 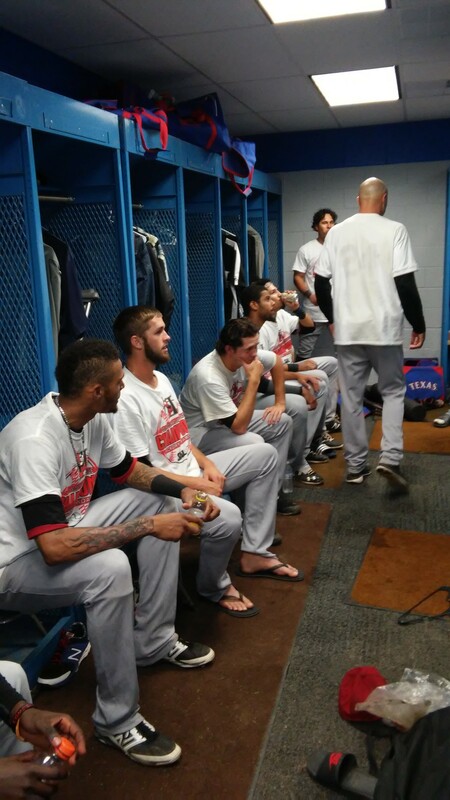 Players that go onto the majors seem to have those moments that springboard them toward that level. Those that watched Beras in the 2015 playoffs may have just seen that leap. 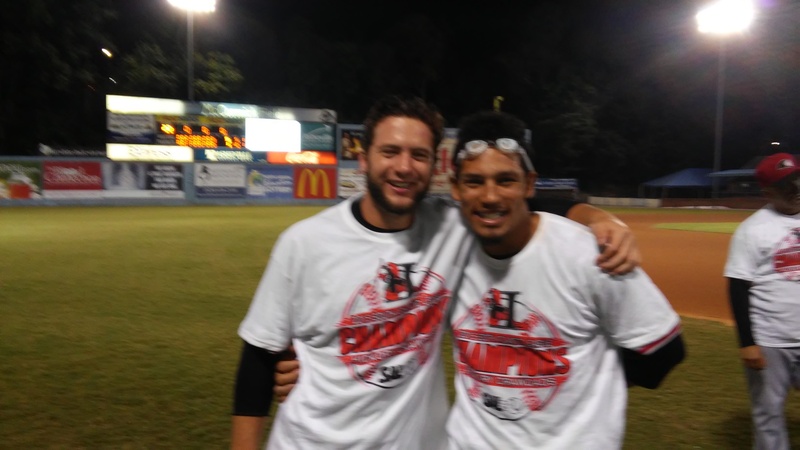 The Hickory Crawdads scored two runs in both the third and fourth innings and took a rain-shortened 5-0 win over the Rome (Ga.) Braves Friday night at L.P. Frans Stadium. 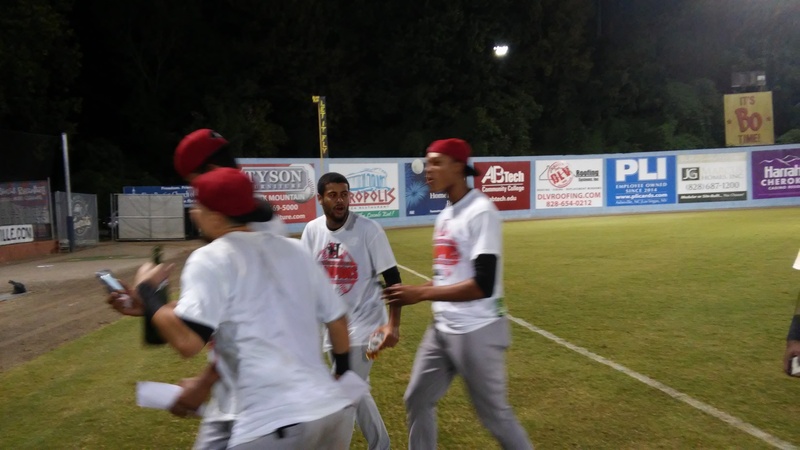 With the win, the Crawdads (79-56 overall, 35-32 second half) assured themselves a tenth-straight half-season of .500 or higher baseball. Hickory is also one win away from a second-straight, 80-win season. It would be the first time the team achieved back-to-back 80-plus wins in a season since the team did it three straight times from 2002 to 2004. The shutout was the tenth of the season, the sixth time the team has posted double-digit shutouts in a season. 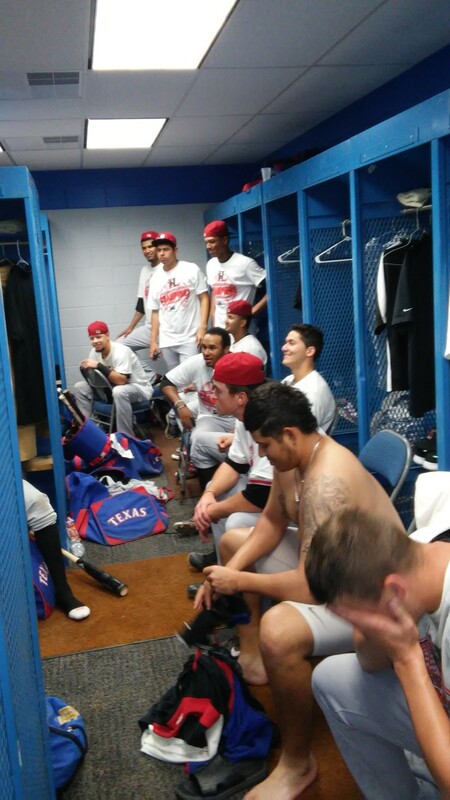 Four of the six seasons have come during the six years of the affiliation with the Texas Rangers. 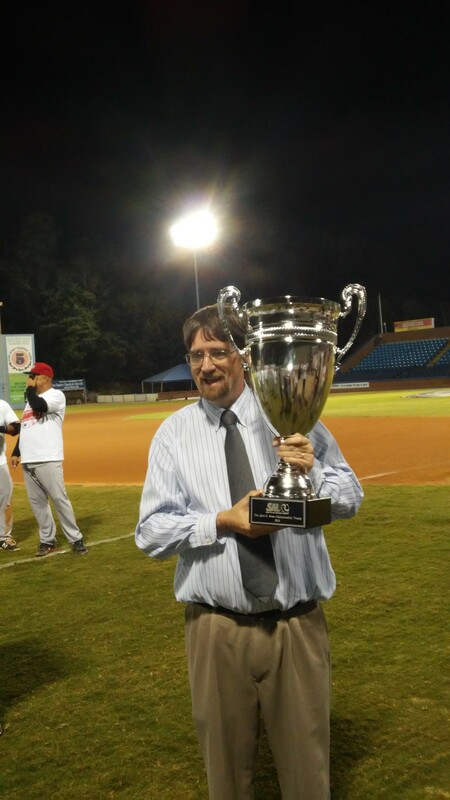 Hickory has posted at least eight shutouts in all seven seasons of the affiliation. 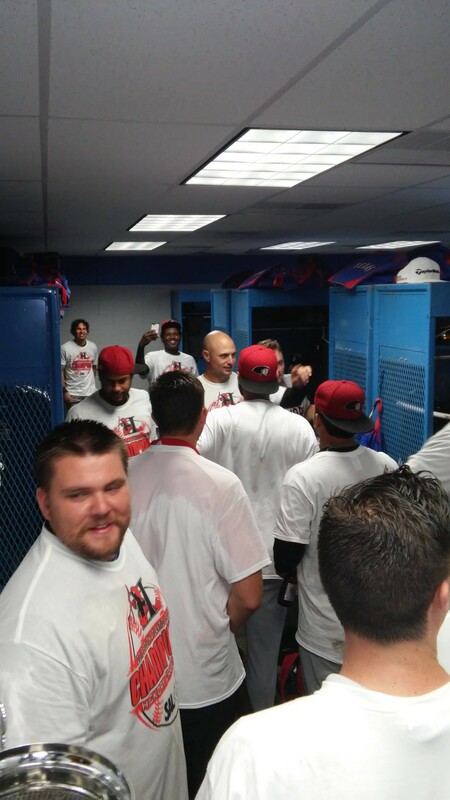 The team posted only five such seasons the previous 16 seasons. 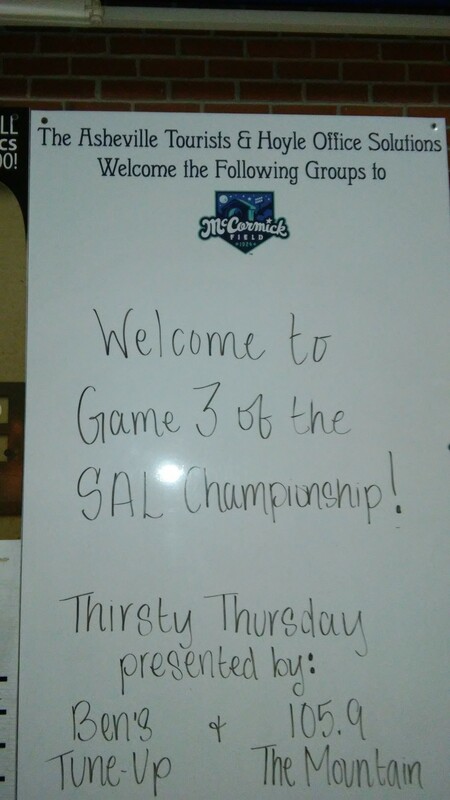 The loss dropped Rome (57-80, 26-41) into a virtual tie for last place in the Southern Division. The Braves are seeking to avoid a second-straight last place finish, which would be the fifth time in eight seasons Rome has done so. After a scoreless first, the Braves missed an opportunity to open the scoring in the second. Facing Shane McCain, Jordan Edgerton lined a double off the wall in left-center. One out later, Luke Dykstra walked and Tanner Murphy was hit by a pitch to load the bases. However, McCain got Joseph Daris to ground to third to end the inning. Hickory jumped ahead in the bottom of the inning. 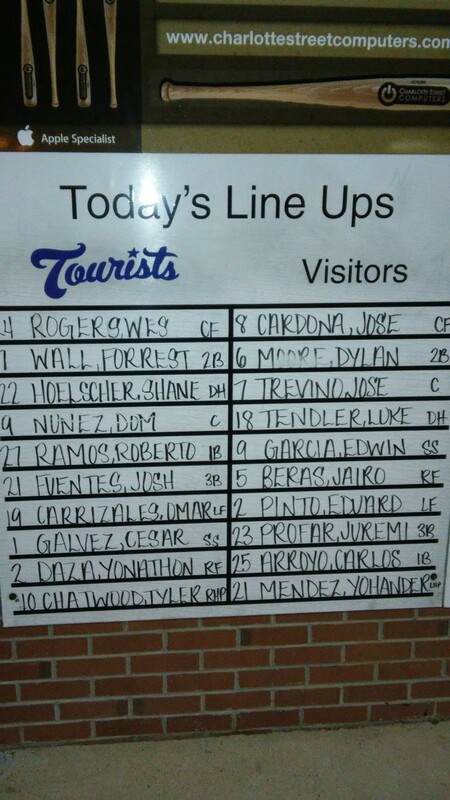 Jose Trevino bounced a single up the middle and Luke Tendler walked. Jairo Beras then reached out and bounced a Sean Furney fastball through the hole at second to score Trevino. Jose Cardona’s grounder to second scored Tendler from third for a 2-0 lead. In the third, Carlos Arroyo began the inning with a single. After Furney’s wild pitch pushed Arroyo to second, Jurickson Profar lined a double off the wall in left-center to make it 3-0 after Arroyo scored. One out later, Trevino doubled off the wall in left to score Profar. Rome’s last chance to score came in the fourth when it put two on after two were out. However, Murphy fouled out to first to curtail the threat. A thunderstorm that approached from beyond centerfield throughout the game finally reached the stadium in the fifth. The Braves quickly went down in order quickly with the final out coming on a grounder by Omar Obregon to short as a heavy rain began to fall. The game was called 43 minutes later. Luis Ortiz: Threw a 14-pitch first inning to retire the side. His fastball sat at 95-97 with a mid 80s slider and one change. He needed nine pitches before finally striking out the left-handed Omar Obregon on a slider. 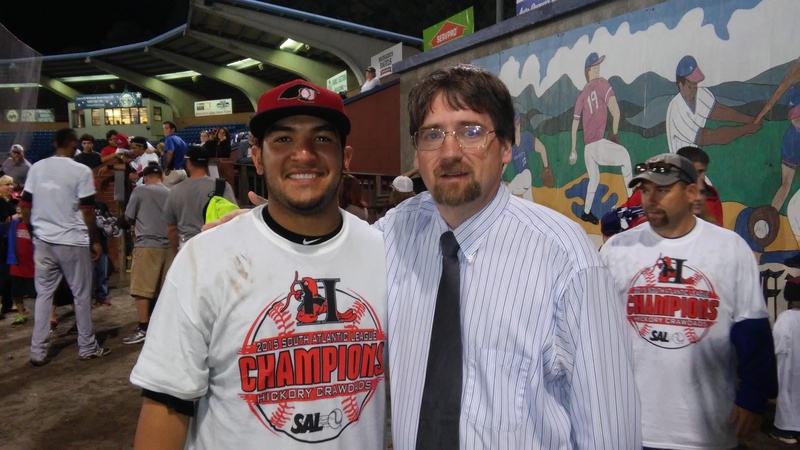 Jose Trevino: Had a hand in both rallies. Just missed a homer in the second on a high change, then worked the count full before sending a 3-2 fastball up the middle for a single. One inning later he took an 0-2 change off the wall in left. Jairo Beras: Continues to improve with the ability to handle pitches away. His single in the second was on a fastball low and away that he was able to bounce through the right side for a single. Jurickson Profar: Ended a six-pitch at-bat in the third by driving a change that was up and away off the wall in left-center. Dylan Moore: Picked up his first hit with Hickory as the right-handed hitter picked off a slider up and lined it to right. Shane McCain: Didn’t have his best stuff as he left several sliders up – one that Jordan Edgerton nearly cleared the fence in left – and had iffy fastball control. However, he was able to run fastballs in to both Daris and Murphy to keep the shutout in tact. Sean Furney: Fastball sat 90-92, but had nothing secondary that were able to throw off the hitters. Hickory was able to pick off changeups and sliders that were left up . Tanner Murphy: Was a bit slow in blocking both wild pitches by Furney. Fifth inning: Seemed odd that with rain approaching that it was the Braves hitters that were quick to get off the field. Daris swung through two fastballs before flying out to right. Stephen Gaylor essentially served a first-pitch bunt back to the box before Obregon’s grounder to short ended the inning and, as it turned out, the game. McCain needed only eight pitchers to close out the inning.